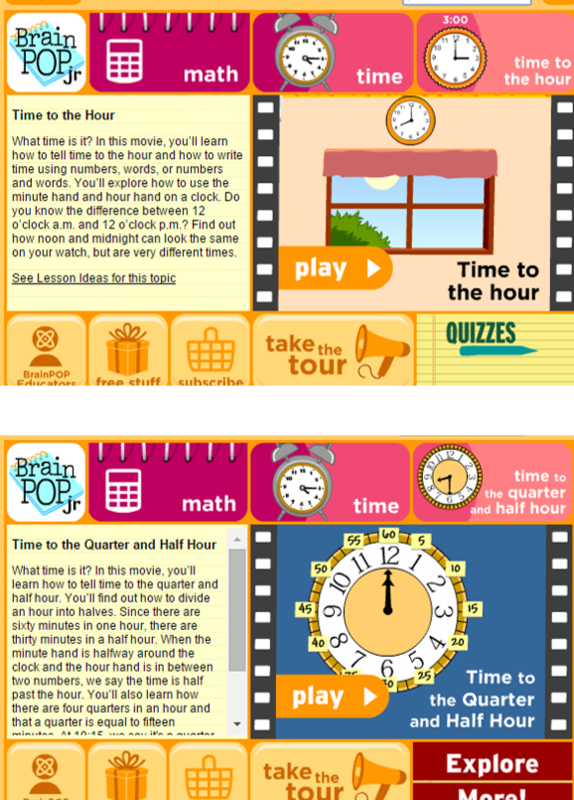 I began teaching telling time to the hour and half hour a few weeks ago. While I was lesson planning, I felt a huge need to pull all of my favorite games and resources into one updated, fun telling time packet. 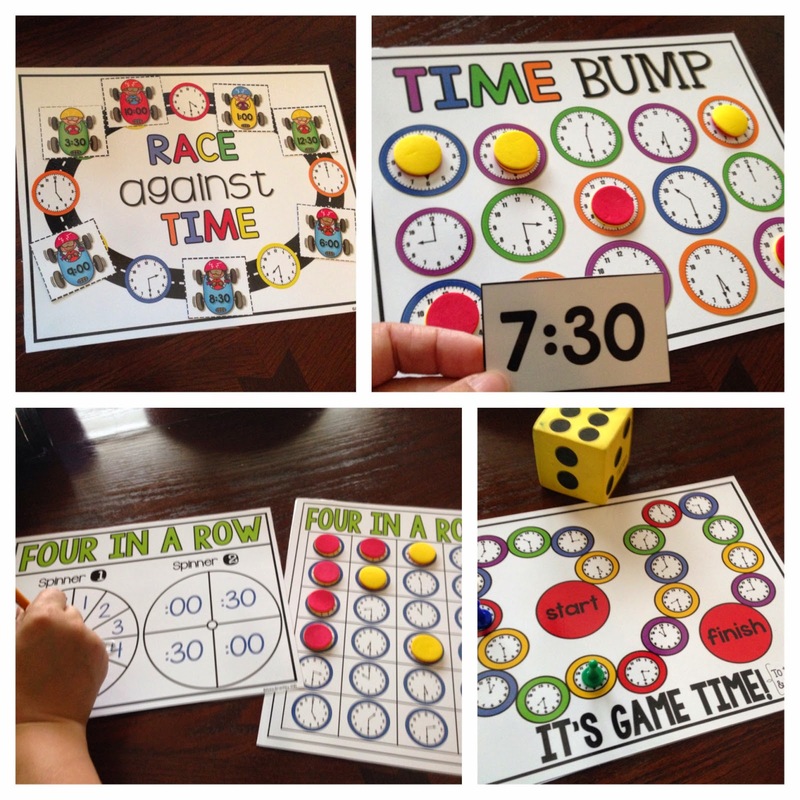 Most of the activities we used to become time experts were always in some sort of hands-on game format. This is my #1 strategy for engaging my little learners...who doesn't like to play a game?? Here are some examples of the activities and games we played while learning and practicing how to tell time! They are all from my Let's Practice Telling Time (to the hour and half hour) unit. Click on the picture for a closer peek into this telling time unit. 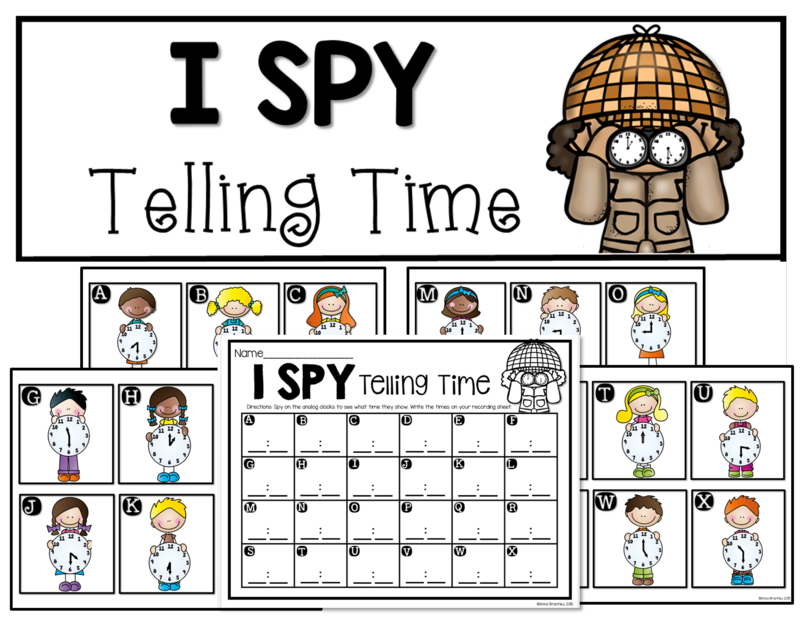 One of our favorite activities from this unit was playing "I SPY Telling Time". Click here or on the picture to download a free copy for your class! BrainPOP Jr. has a couple of short videos we loved watching...I typically use these at the very beginning of a lesson to "hook" my kids! 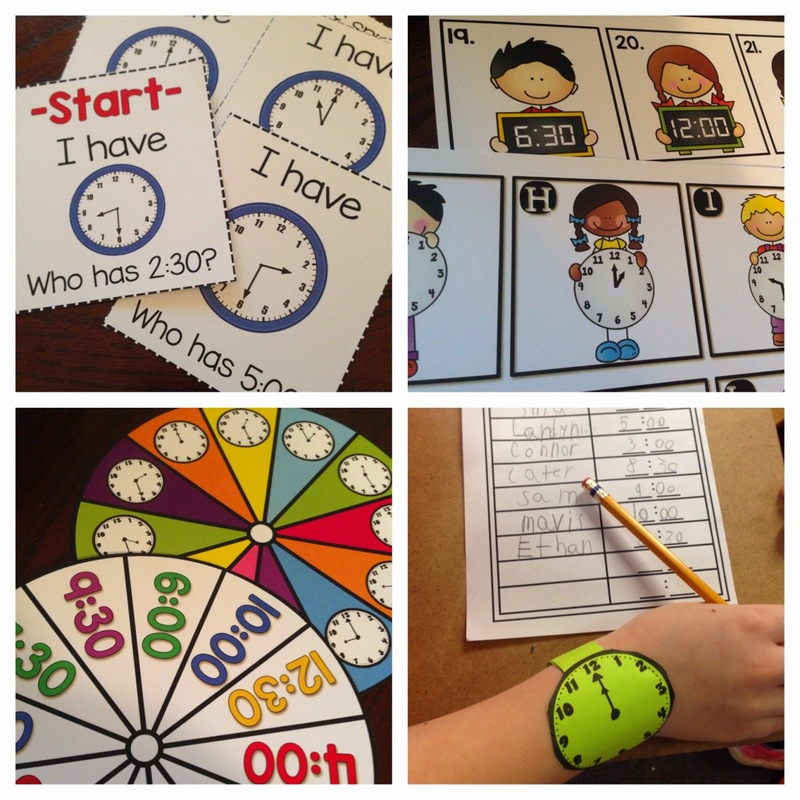 My sweet friend, Amy from Step into Second Grade, also has some great ideas for teaching telling time...check them out here!